We’re dedicated to developing orthopaedic solutions that improve patient care and advance the field of orthopaedic surgery. Introducing the latest version of our free, award-winning app for Apple and Android! The Original Anatomic Radial Head Solution, Refined. Originally released in 2006, the prosthesis has been used in thousands of radial head procedures over multiple system generations and line extensions. More than a decade of research and experience has influenced key refinements to the anatomic properties of the prosthesis. 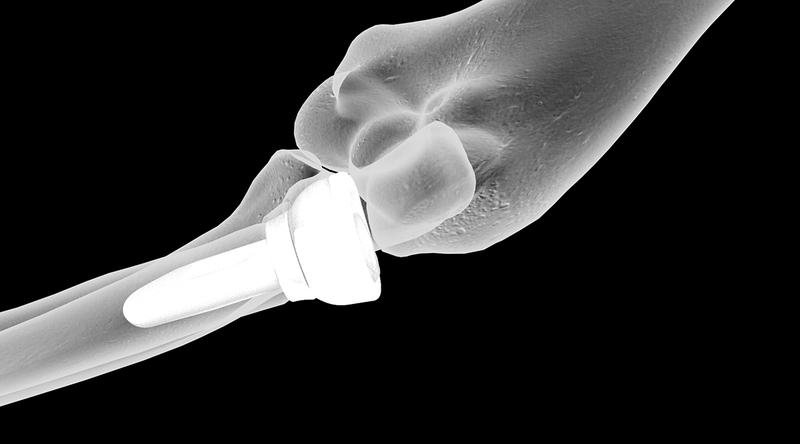 Released in 2006, the first anatomic radial head on the market is designed to replicate the patient's native radial head. We understand that innovation is only as important as the total value it brings. Whether it’s creating greater efficiencies for a hospital administrator or adding an extra five degrees of flexibility to a patient’s range of motion, Acumed blends ingenuity, experience, and resources to create solutions that benefit the medical community as a whole. Clinical evidence — along with education, innovation, and quality — form Acumed’s foundations of excellence. In addition to citing existing scholarly papers, we conduct ongoing clinical research and use this information for validation and continuous improvement to deliver the greatest value to our customers. Sometimes, the best way to innovate is to look at what’s worked in the past. From initial injury to the treatment received, postoperative results and the patient follow-up, these case studies each demonstrate the value Acumed products have brought to successful orthopaedic procedures. Our hope is that each success leads to many more. Explore Acumed's innovative orthopedic solutions with the official mobile app for your phone or tablet. Browse through events, view photo galleries, product details, and documents libraries. Watch videos and explore interactive 3D product models. Download the free Acumed App today! We recognize that the community thrives when we support care-givers seeking to advance their study.